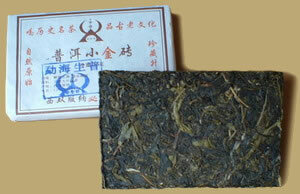 This Green Pu-erh Brick tea has a delightful taste - smooth and mature, and it would be excellent when aged. The tea definitely has lots of character and personality, and is a great early morning tea to kickstart your day. Weighs about 250 grams each.